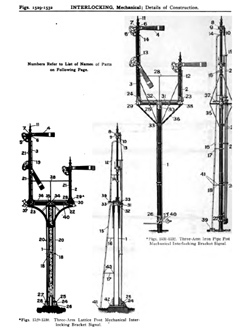 The Railway Signal Dictionary ; an illustrated vocabulary of terms which designate American railway signals, their parts, attachments and details of construction, with descriptions of methods of operation. This CD contains both the 1908 first edition and the 1911 second edition. 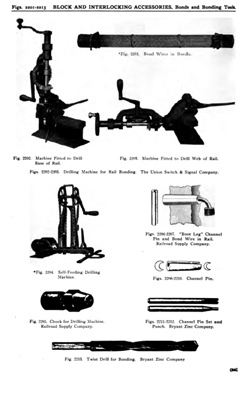 Each volume is over 500 pages in length and contain thousands of illustrations related to railroad signaling. 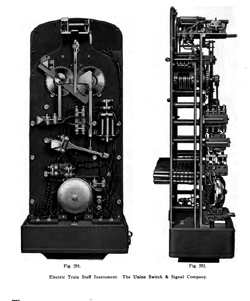 These two volumes make an excellent reference work for early 20th century railroad signaling technology. 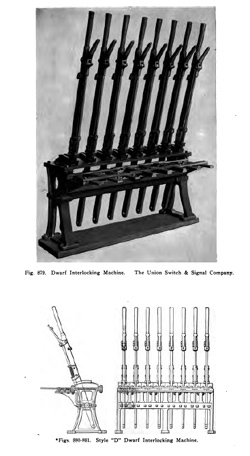 The Railway Signal Dictionary ; an illustrated vocabulary of terms which designate American railway signals, their parts, attachments and details of construction, with descriptions of methods of operation. This CD contains both the 1908 first edition and the 1911 second edition. 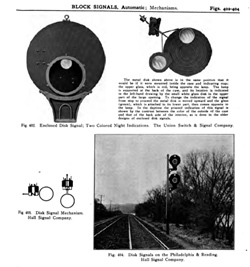 Each volume is over 500 pages in length and contain thousands of illustrations related to railroad signaling. 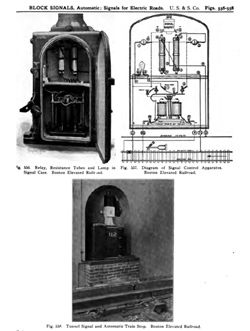 These two volumes make an excellent reference work for early 20th century railroad signaling technology. Here are some images taken from the dictionary.